The first chain and fusee inside a wristwatch was courtesy of A. Lange & Söhne, when it debuted the original Pour le Mérite Tourbillon in 1994. Inspired by pocket watches with the same mechanism, the watch gave rise to an entire line of watches bearing the Pour le Mérite a military and civil honour that’s amongst the highest awarded by the German state. All the Pour le Mérite watches share one thing in common: the chain and fusee. The mechanism is very much synonymous with Lange today, though it was a common feature in pocket watches, and later on, marine chronometers. 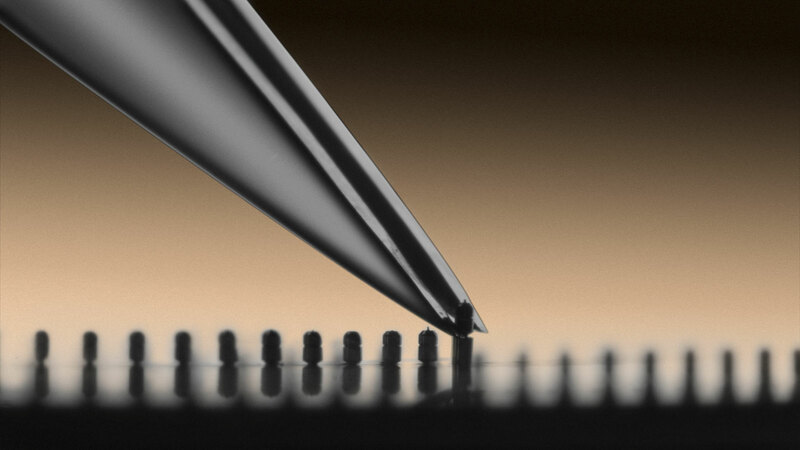 The fusee is essentially a metal cone, which is connected to the barrel by a chain, and together they act as a constant force device for the mainspring. Thanks to a series of closeup images recently released by Lange, the chain and fusee can be understood in detail. 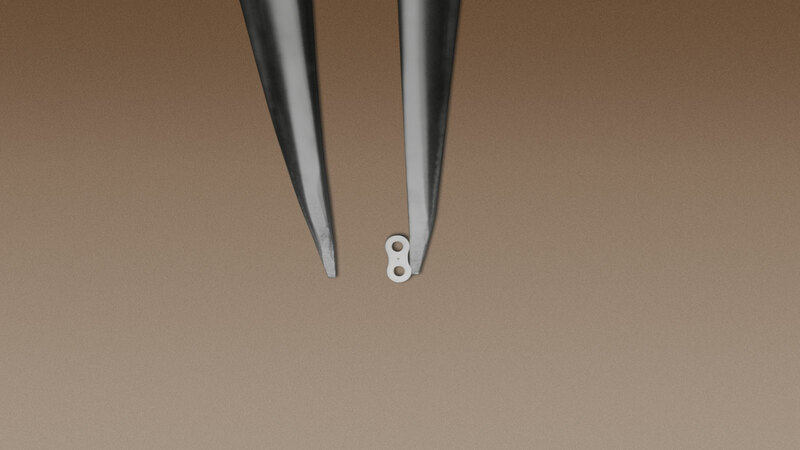 The chain is completely wrapped around the cone when the timepiece is fully wound, unwinding from the top of the cone as the mainspring winds down. As that happens, the chain winds itself around the barrel. The gradually widening base of the cone uses the principle of leverage to keep the torque from the barrel constant as it unwinds. The chain and fusee went extinct in pocket watches – and never made it to the wristwatch until 1994 – because it was thick and bulky, relative to the rest of the movement. 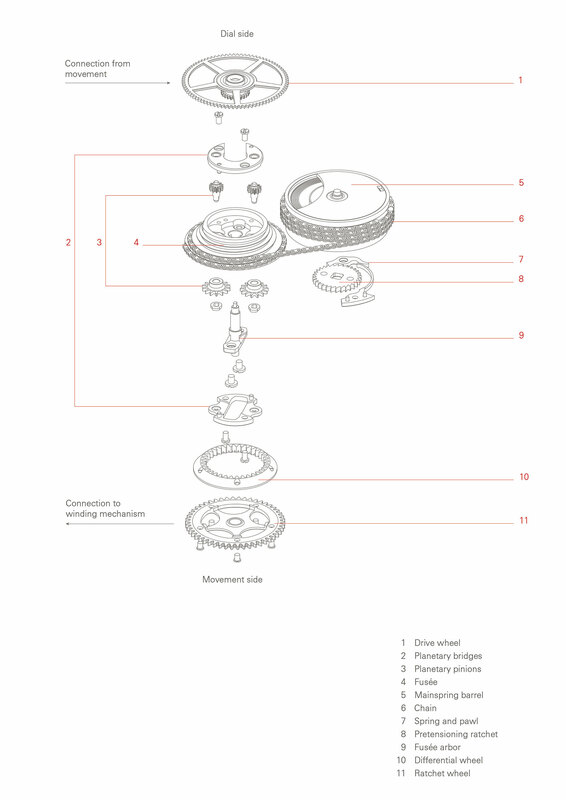 Even in the modern day Pour le Mérite movements the chain and fusee alone occupies almost half the volume of the calibre. 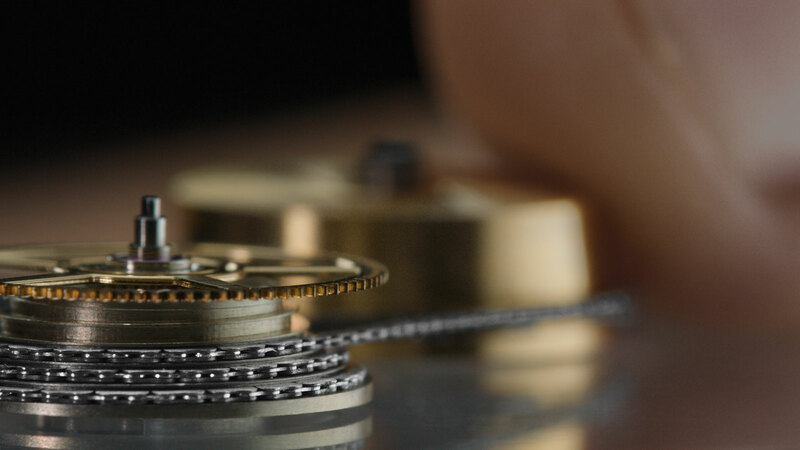 The chain and fusee is an old fashioned and complex solution, rather than an elegant and compact one (as a remontoir might be), which is typical of Lange’s teutonic approach to watch engineering. Miniaturising the chain and fusee was an achievement in itself. 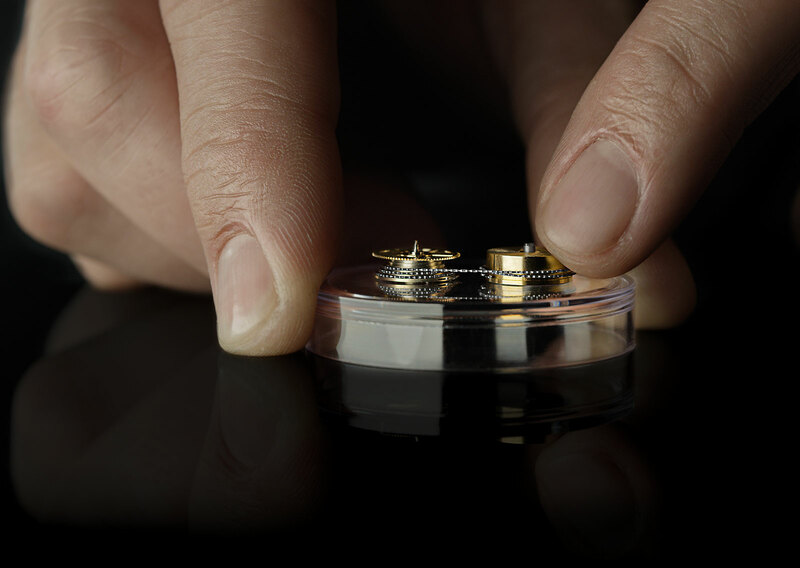 That task fell to complications specialist Renaud & Papi (APR&P), a subsidiary of Audemars Piguet, which developed the L902.0 found in the original Tourbillon Pour le Mérite. The now familiar story of how the chain was constructed by AP&P – and this was in the early 1990s – involves tiny slivers of paper inserted in-between the links to keep them in place as the chain was being assembled. Once done the paper was burned away, leaving just the finished chain. 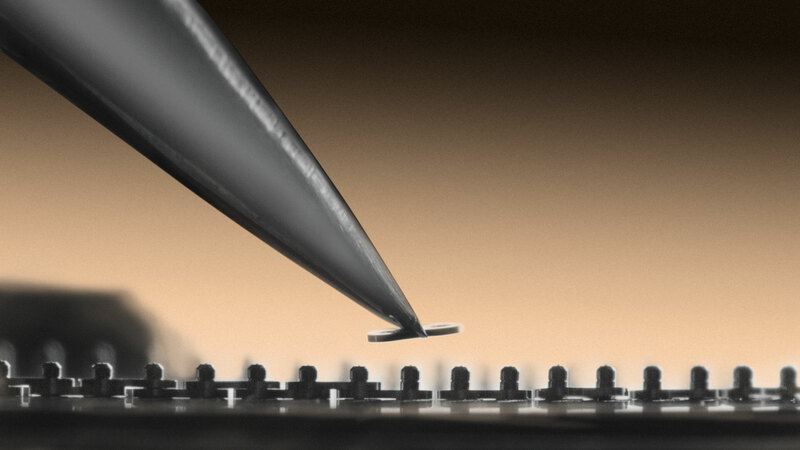 It’s now done in a different, more modern, manner, though Lange refuses to reveal exactly how, though it appears the chain is assembled by hand using a tiny tweezer and micro-frame that holds the bits together as a work in progress. Made of links held together by pins, the chain itself remains largely the same, comprised of just over 600 parts, 636 to be exact. 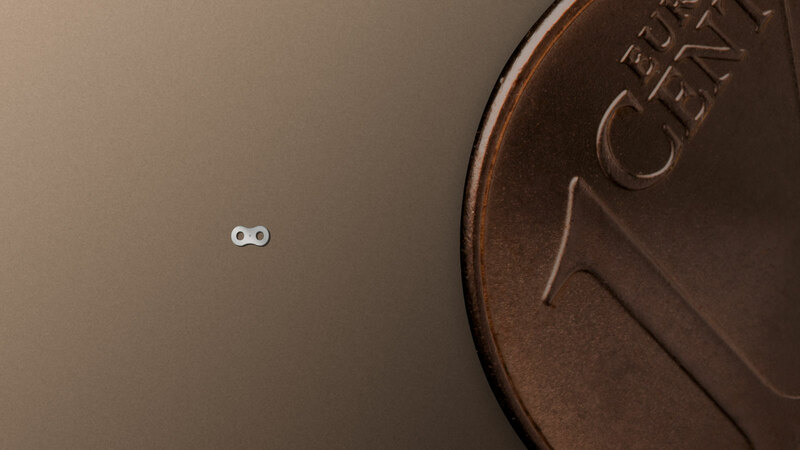 Just 0.5mm in width, the chain is 15cm long, yet strong enough to lift a 2kg load, but itself weights just 0.12g. 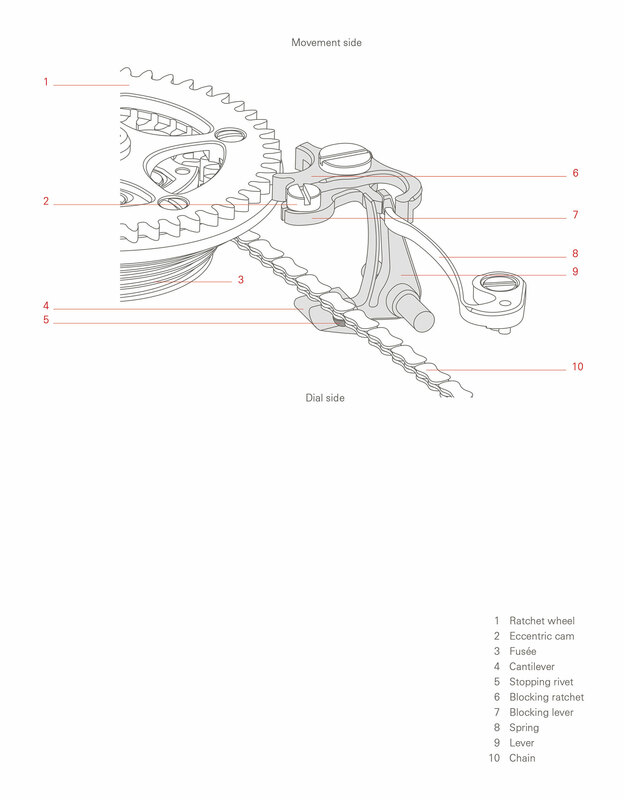 While a complicated assembly in itself, the chain is just part of a larger whole. Secured to the barrel and fusee with hooks on each end, the chain also includes a stonework rivet about a third up its length. This stops the ratchet wheel of the movement from winding the barrel all the way, preventing the chain from being over tensioned. And the fusee houses a set of planetary wheels to keep power flowing to the regulator even as the mainspring is being wound and the chain is going in reverse, back around the fusee. Already comprised of five distinct models (and many variations within), with three currently in production, the Pour le Mérite line is diverse, despite the shared complication. 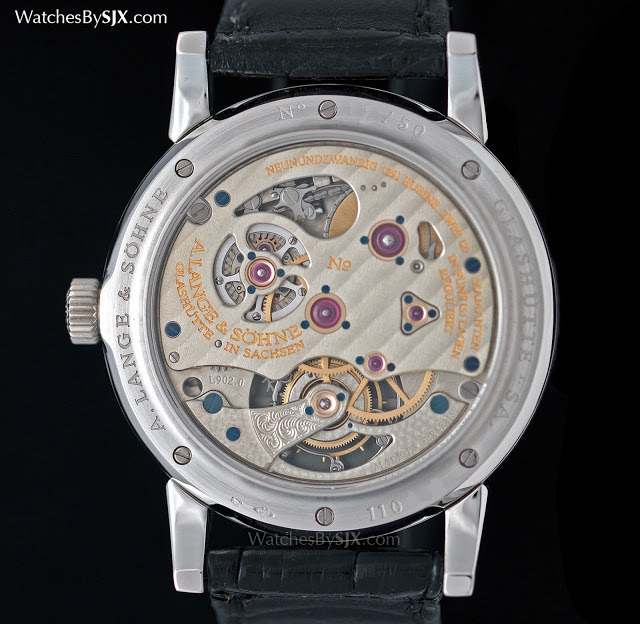 The most complicated wristwatch in Lange’s current catalogue is the Tourbograph Perpetual Pour le Merite, though a near identical chain and fusee mechanism is also found in the fuss-free Richard Lange Pour le Merite. While some collectors might justifiably say the chain and fusee has been utilised too often, it is a Lange signature, so expect to see the 636 microscopic links inside another movement in time to come.